Warren Buffett and Brazilian financier Jorge Paulo Lemann are teaming up to buy ketchup maker H.J. 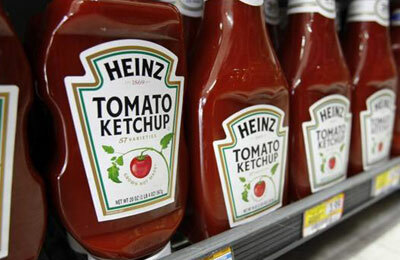 Heinz Co for $23.2 billion, in what could be the first step of a wave of mergers for the food and beverage industry. Analysts and people close to the deal said Heinz could be a good starting point to consolidate similar staple food companies, particularly given the larger ambitions of Lemann's private equity firm 3G Capital. Including debt assumption, Heinz valued the transaction, which it called the largest in its industry's history, at $28 billion. Buffett's Berkshire Hathaway and 3G will pay $72.50 per share, a 19 percent premium to the stock's previous all-time high. Heinz shares initially rose slightly above the offer price, although Buffett cautioned he had no intention of raising his bid and the stock fell back below that mark by midday. The stock has been on a tear, almost doubling over the last four years, though analysts said the price seemed fair. They also said the deal could be the first step in a broader wave of mergers for the food and beverage industry. sense," Edward Jones analyst Jack Russo said. Any acquisition could help Heinz further diversify and broaden its international profile. It already dominates the ketchup business, with a nearly 26 percent share of the global market and a 59 percent share domestically, according to Euromonitor International. The company actually generates the largest portion of its sales in Europe, though its traditional North American consumer products business is the most profitable. where sales increased nearly 11 percent in the last fiscal year, in part on demand for sauces and infant foods in China. The surprise purchase satisfies, at least in part, Buffett's hunt for growth through acquisition. He was frustrated in 2012 by the collapse of at least two unnamed deals in excess of $20 billion and said he might have to do a $30 billion deal this year to help fuel Berkshire's growth engine.